As you have probably already noticed, there have been some significant changes to the way the fourth floor resource has been designed. In response to student feedback, we have significantly increased the number of workstations for 2D digital animation training and production, and we have created a number of new tutorial spaces for you to discuss concepts and ideas with your tutors. 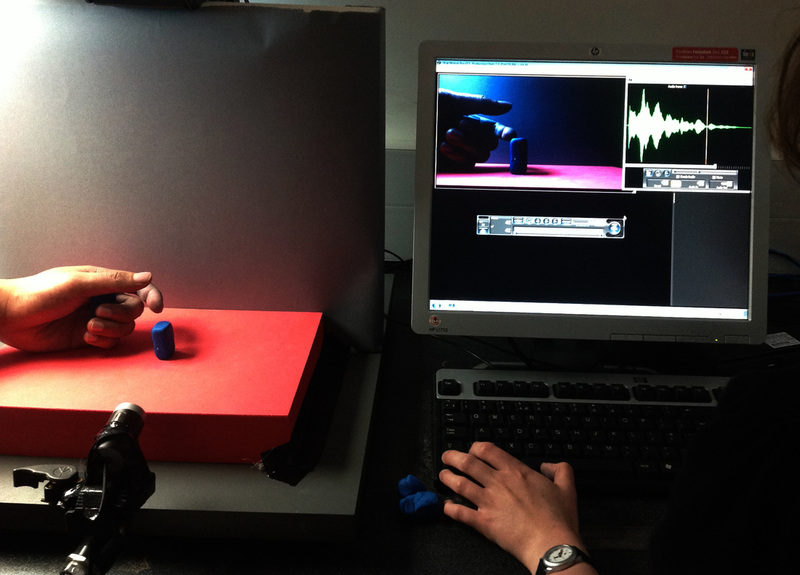 We have also purchased 18 new production machines for 4B18, and a brand new LED lighting system in the stop motion studios. The next newsletter will showcase the new technical studios, and the work that you are creating there, but for now, I thought a general overview of the new and improved studio model would help you all to settle in and begin to plan your productions and projects for the rest of the semester. 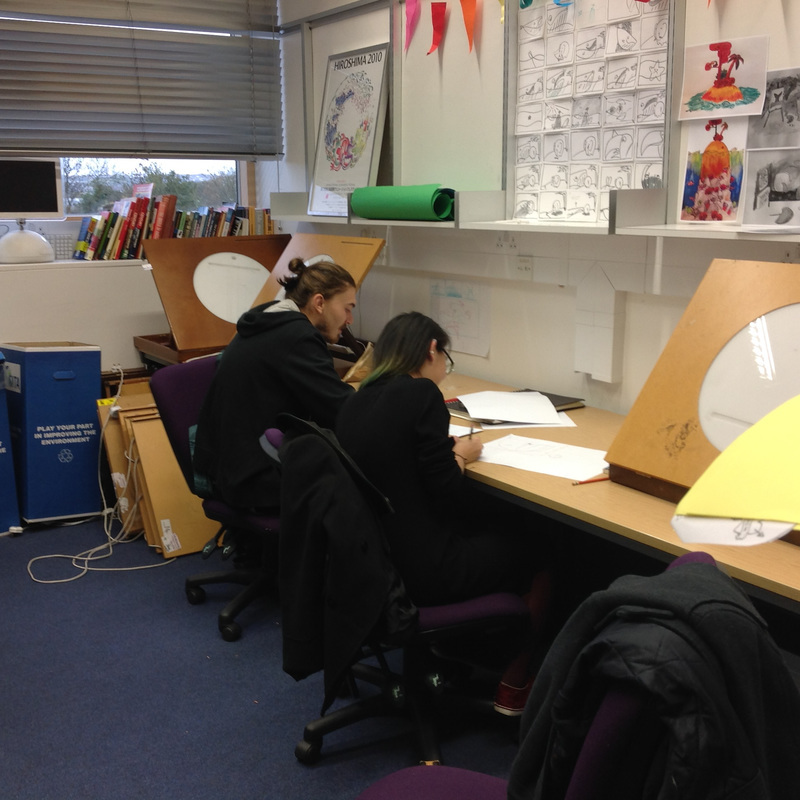 All rooms coloured in green on the map above have been re-branded as academically managed teaching and learning spaces, and represent a greatly enhanced resource for traditional and digital 2D animation production. 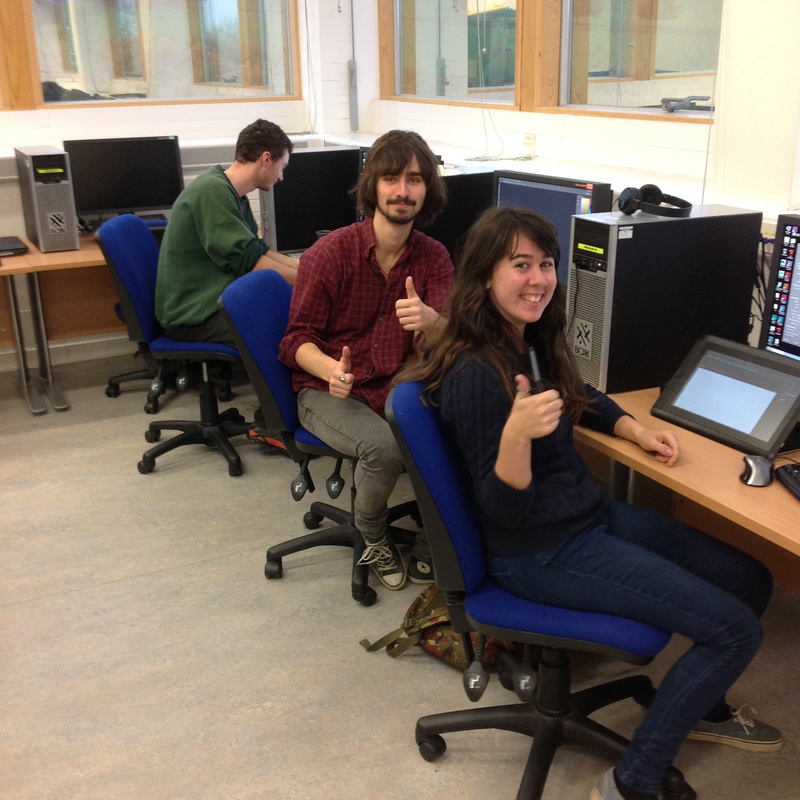 4B01 has been fitted out with 15 workstations, each running the latest version of Maya, Adobe Creative Suite and TV Paint. 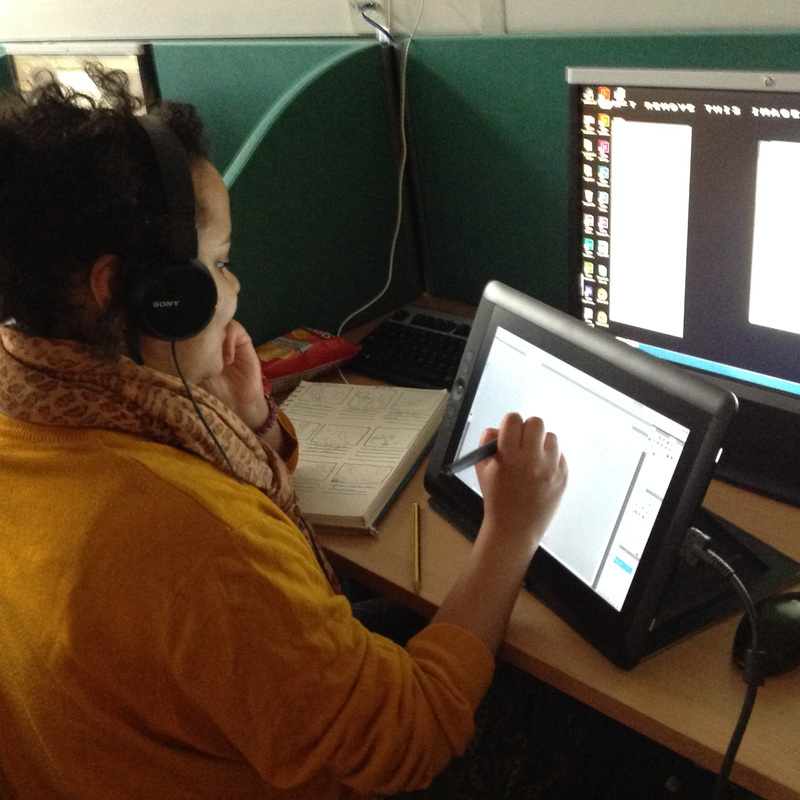 Each workstation is also fitted out with a brand new Cintique drawing screen. 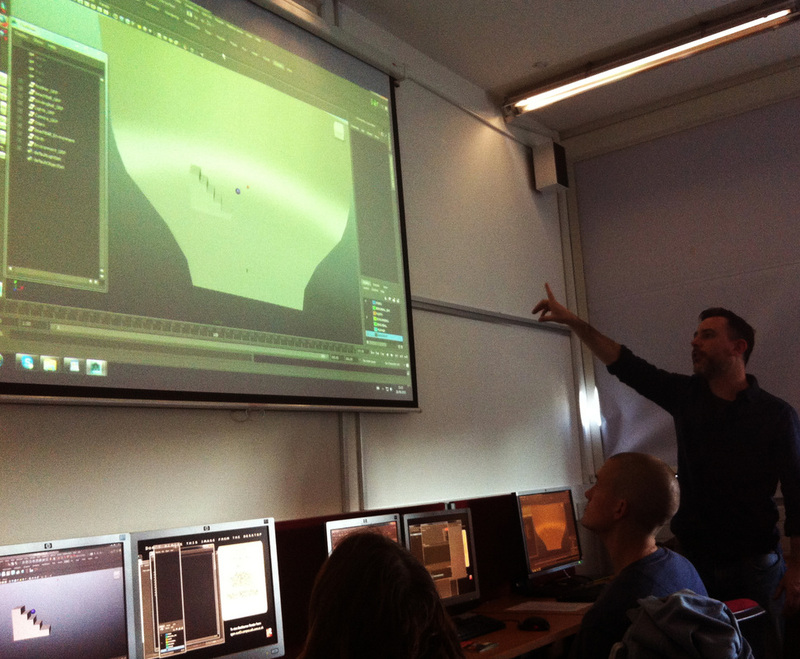 This is now an ideal space for your tutors to run classes on animation principals and approaches in 2D and CGI, as well as running masterclasses in design, story boarding and post production strategies. When not timetabled for a group session, this is a general use "drop in" space where you can get on with any ongoing digital work. 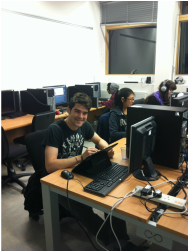 Your tutors may also run group tutorials in here from time to time. 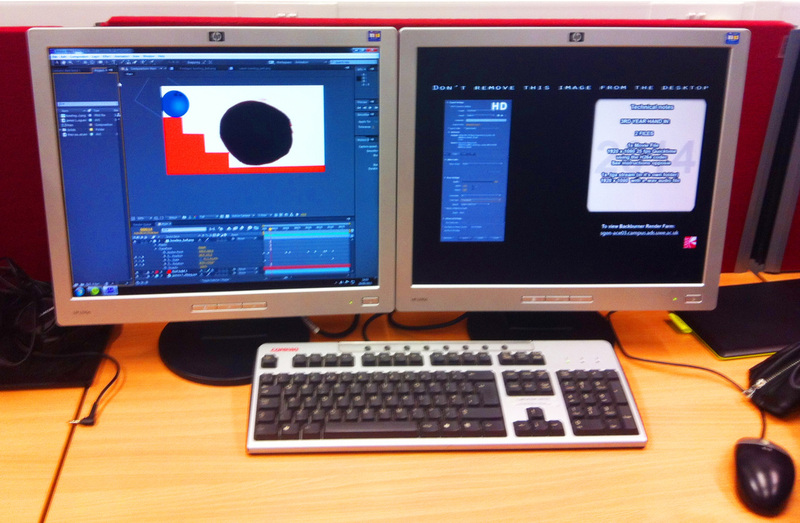 4B02 is now a small tutorial space, with some storage for teaching materials and the animation video library. 4B05 will now be managed by your academic team, and will be used for tutorials and group meetings. 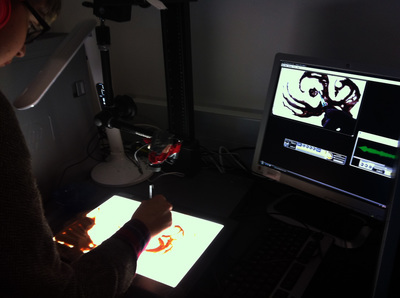 It is also now fitted out as a traditional 2D drawing studio with a line tester and space for up to 6 light boxes. 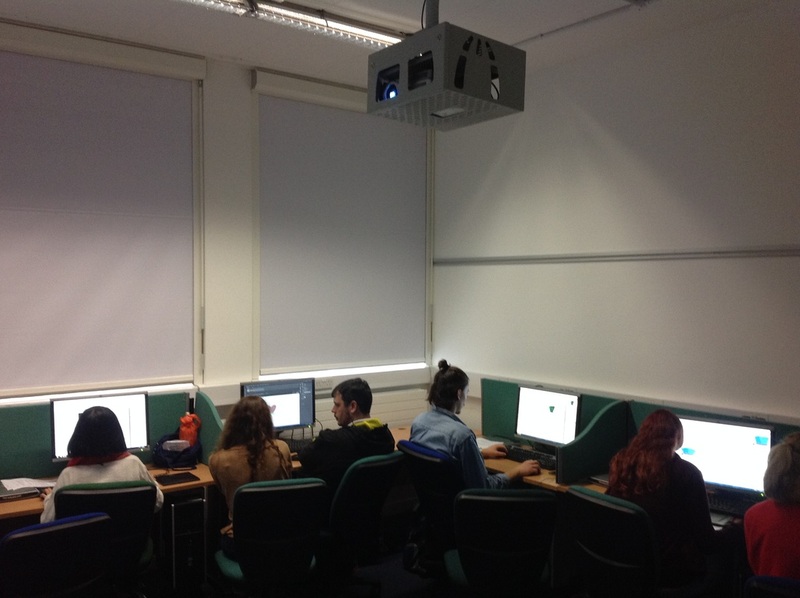 4B16 is also now an academically managed space for tutorials and group meetings. It has also been refitted as a digital 2D space, with each machine running Adobe Creative suite and TV paint. There are also a number of cintiques available here. 4B19 now houses another tutorial space, with some space set aside for storage. Please ask your module leader for information on timetabled sessions and access times. Rooms coloured in Orange will remain as Technical studios and production labs, with some additions and improvements. 4B03 will remain as the main technical instruction space for under camera processes, software instruction and puppet making/fabrication workshop training. The room layout has changed slightly with the addition of the line testing benches from 4B02, and an improved storage system for resources and materials. 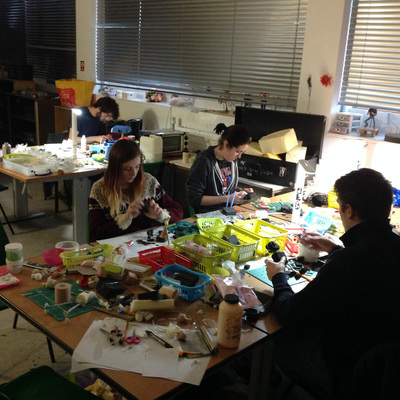 This room will continue to be coordinated by the technical team, and when not in use for workshops will remain a key studio space for students who have chosen to specialise in stop motion fabrication and production. 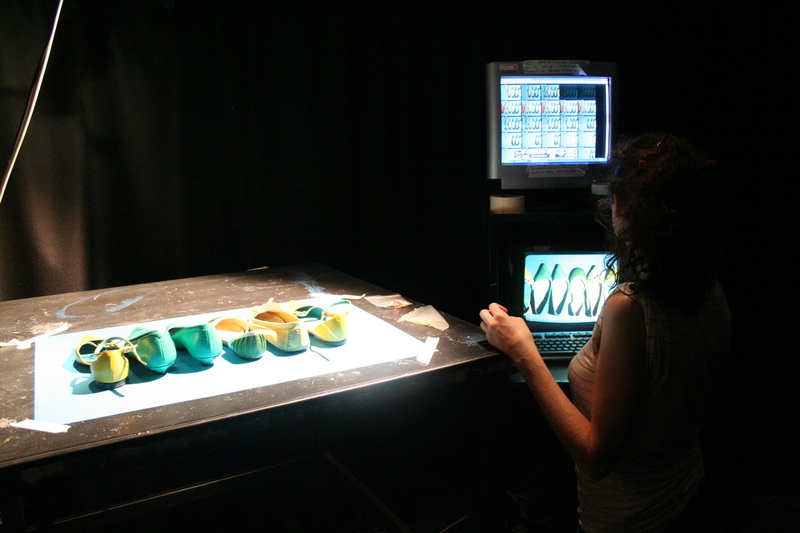 4B06 will also remain as a technical instruction space for all technical workshops in 2D and CGI software instruction, as well as the location for technical mentoring sessions and pipeline support and training. It will continue to be managed by the technical team and when not in use as a training space it can be accessed as a drop in space for short project and exercise work. 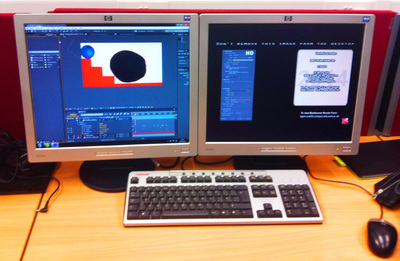 4B18 will remain as a student production lab, with the added enhancement of 18 brand new computer workstations, each running the latest versions of Adobe Creative Suite and Maya. 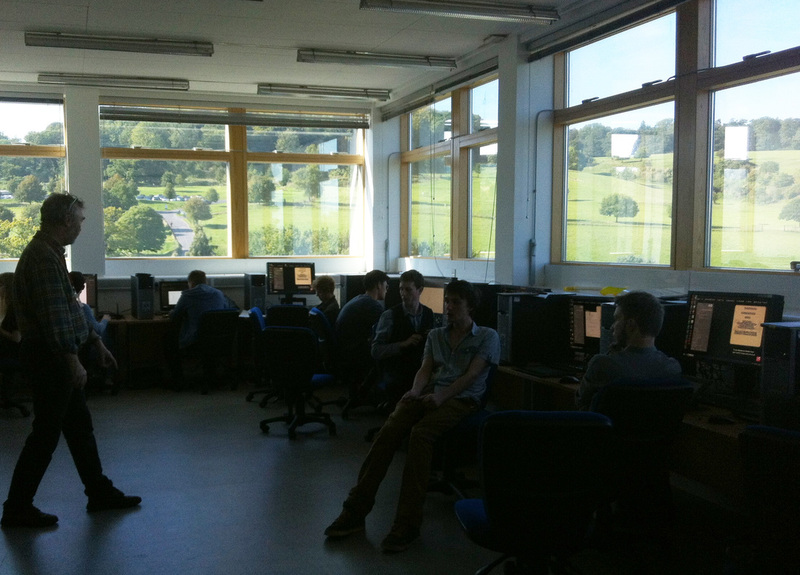 This room can be used by any student, but at busy times students in long term CGI production will have priority. At the end of each semester this room will become the main post production lab for all processes. Please ask the technical staff for information on timetabled sessions and access times. A slightly late welcome to all our new BA and MA students, and a welcome back to all our returning animators in 2015. It has been a hectic semester so far, with some really energetic induction activity for level 1, and intensive concept and pre-production for levels 2 and 3. 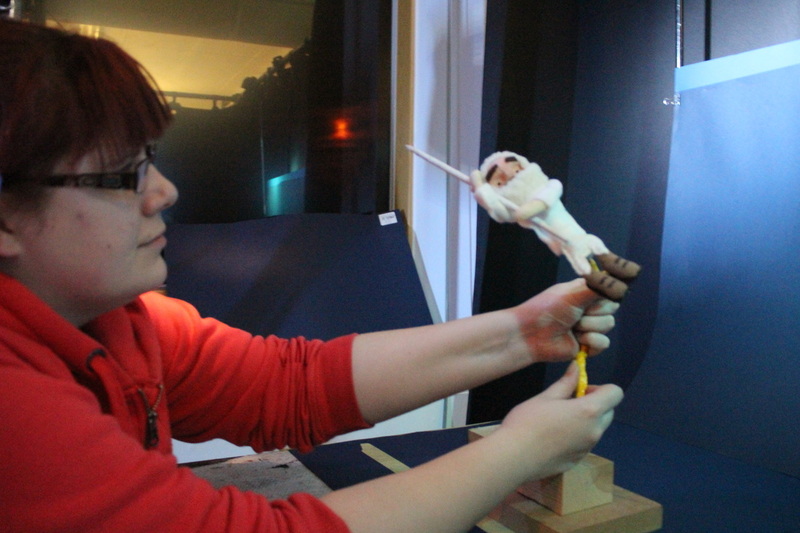 There has also been significant improvements to the Animation facility, and some exciting new additions to our resource. Level 1 induction Hub exercises weeks 1 to 4. The animation training hubs kicked off with a bang in week one, and we were delighted this year to enlist the skills and talent of some top animation graduates who clearly enjoyed running some of the process based training activity in CGI and 2D processes. The level 2 collaborative practice module is well underway, with a really broad spread of technique and process. 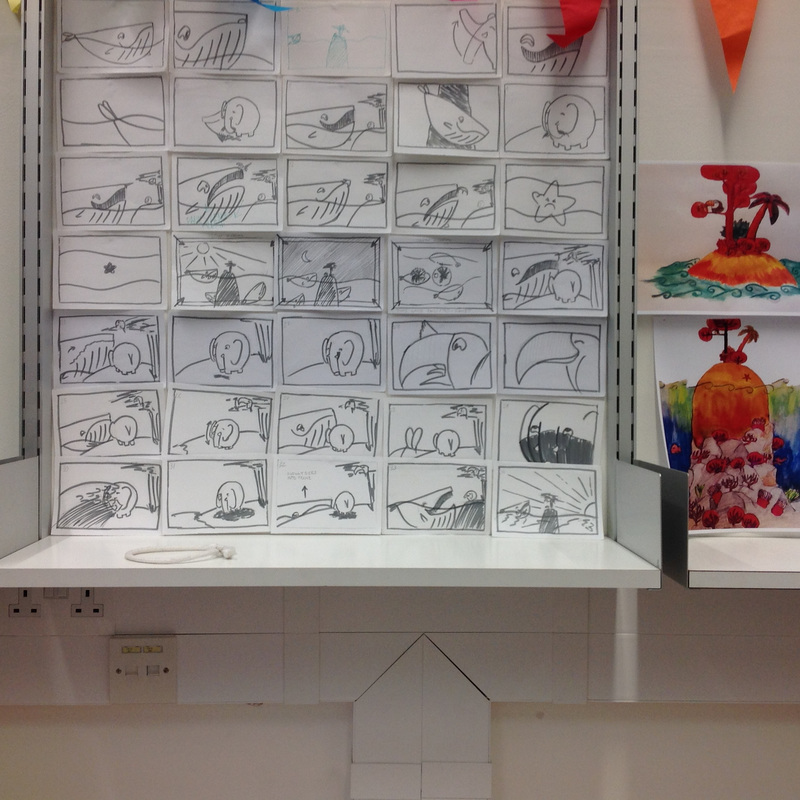 We have groups currently working in traditional hand drawn 2D, digital 2D, stop motion and paper cut out, and CGI and Maya, with some hybrid films in the mix. 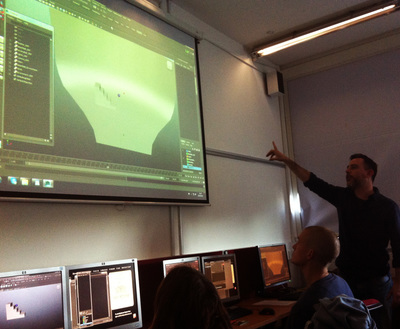 After an intensive few weeks in concept development students are currently attending a range of skills based training sessions to help to move into production over the next two or three weeks. 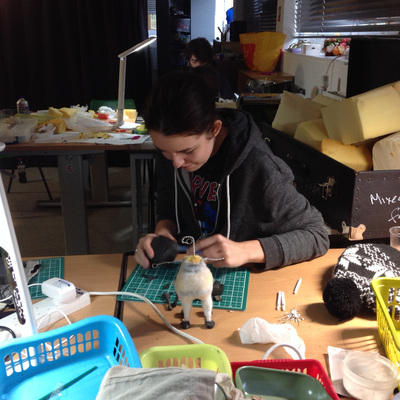 Welcome to our new MA students, who have been getting busy in the studios working on a short collaborative piece as part of their "Developing practice in Animation Module"
The level 3 students have also made a good start to their final projects, with skills development workshops and mentoring sessions in design, puppet making and CGI. 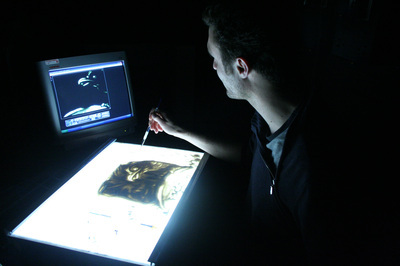 Again, students are choosing to develop their skills in a very broad range of techniques. 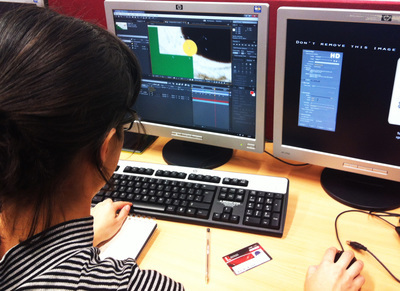 We are delighted to welcome Libby Bass to the team in her new role as Lead instructor for all CGI processes and some software training for 2D digital techniques. 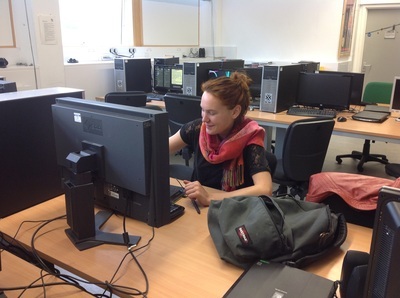 Libby worked with us last year covering 2 days a week, but she is now employed full time, and will be mainly responsible for training and support in 4B06 and 4B18. Libby is an exceptionally experienced animator, with considerable experience in industry, and is a fantastic addition to our team. Her full profile and contact details can be found here. 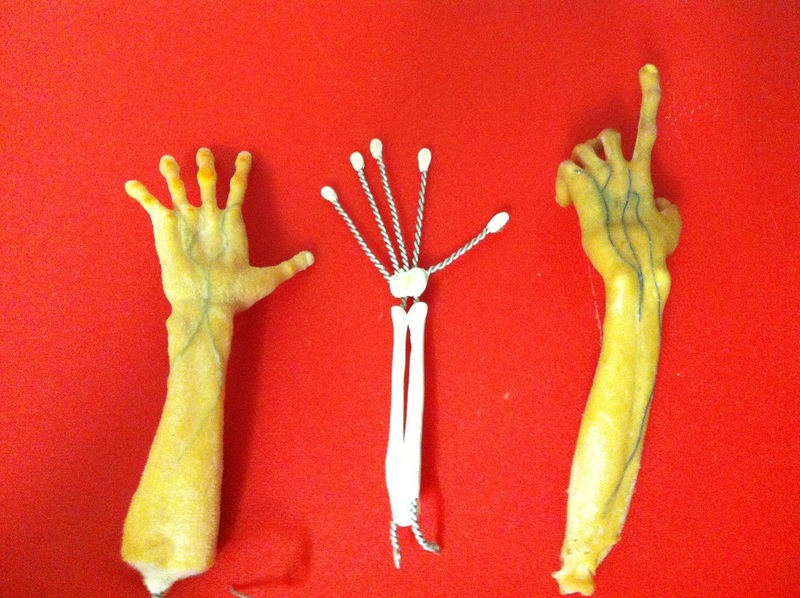 This month saw a lot of fabrication and puppet making for students on level 1 and level 2. In preperation for an advanced series of animation workshops next month, level one students had the chance to build their own UWE training puppet using wire and foam build up. The group had the chance to get their hands on some standard puppet making materials and tools, and the result is an army of little multicoloured people all prepped and ready to execute a complex action in stop motion. It was a very busy two days, but thouroughly enjoyable. We will post up examples of the completed exercises next month, along with the Maya and 2D exercises which form part of the same assignment. 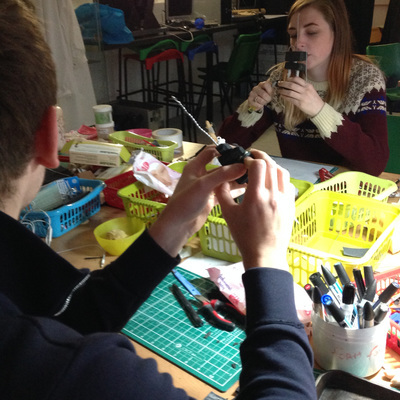 Some critical fabrication workshops also ran for those students at level 2 and 3 specialising in stop motion. 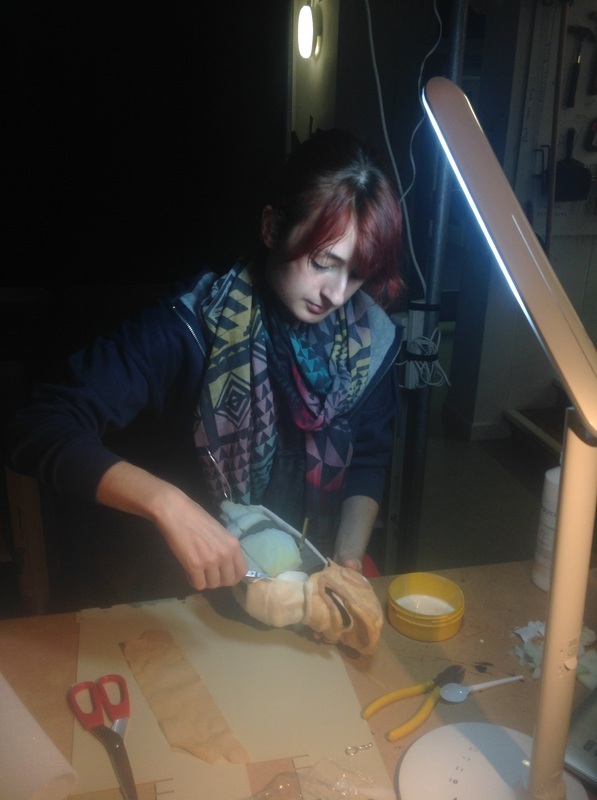 Level 3 students attended a mould making for silicone casting workshop with Mary Murphy at the end of Janurary. 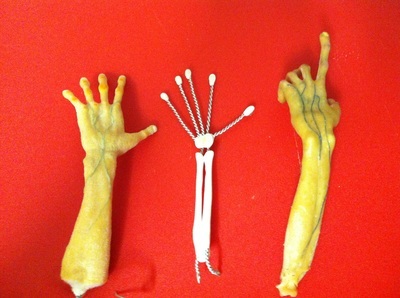 This workshop took them through the process of making a two picce mould in plaster for retro casting in silicone around a wire armature. 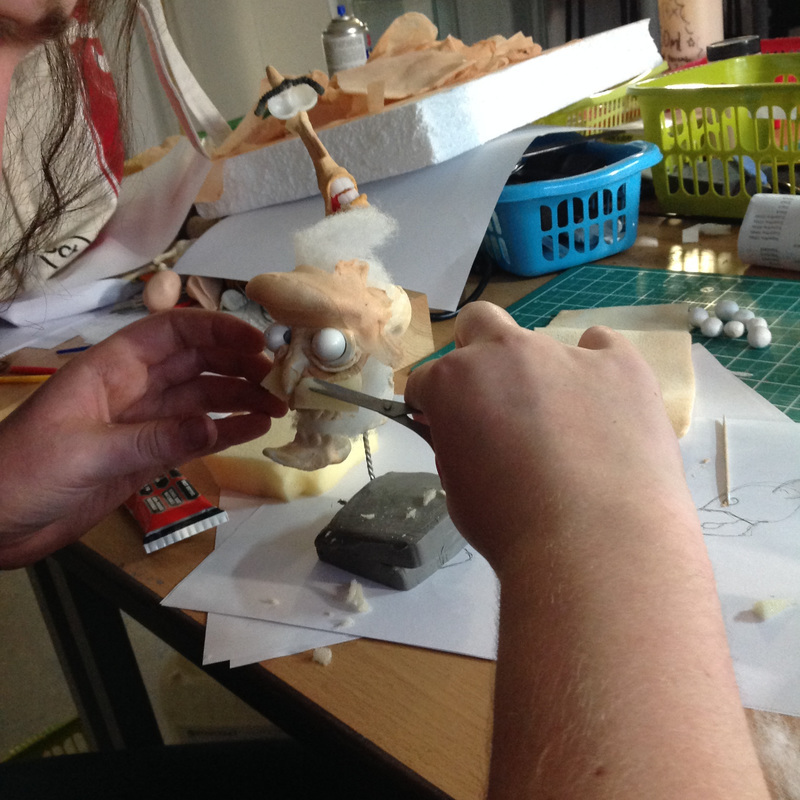 They are currently hard at work in 4B14 completing their puppets and sets in preperation for their final production shoot in March. During the last week in Feburary level 2 students working on a fabricated outcome for their "Developing Animation" module attended a metals forming workshop run by Ryan Brown in the fabrication centre, and on the following day a set building workshop run by Justin Day in the wood centre. 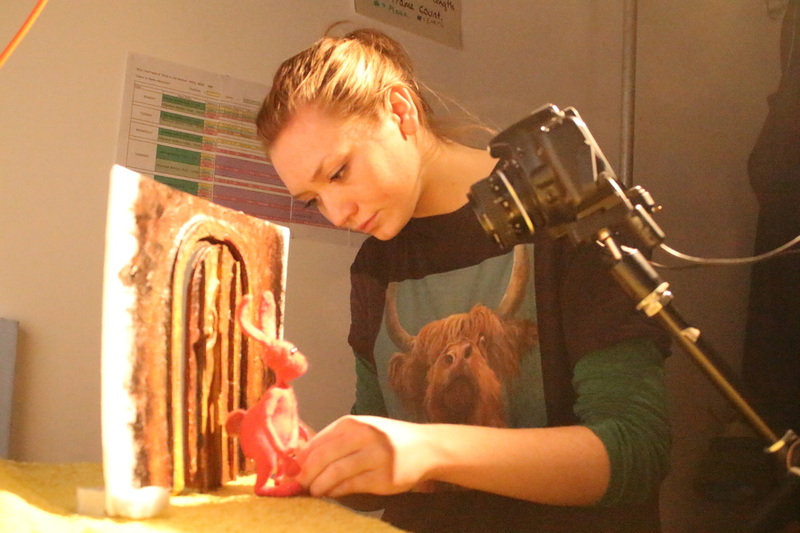 These workshops form part of a series running throughout the module and are focused on processes and materials central to the making of stop motion puppets and sets. The students attending were very impressed with the training they recieved and the ground they covered in such a short period of time.
" 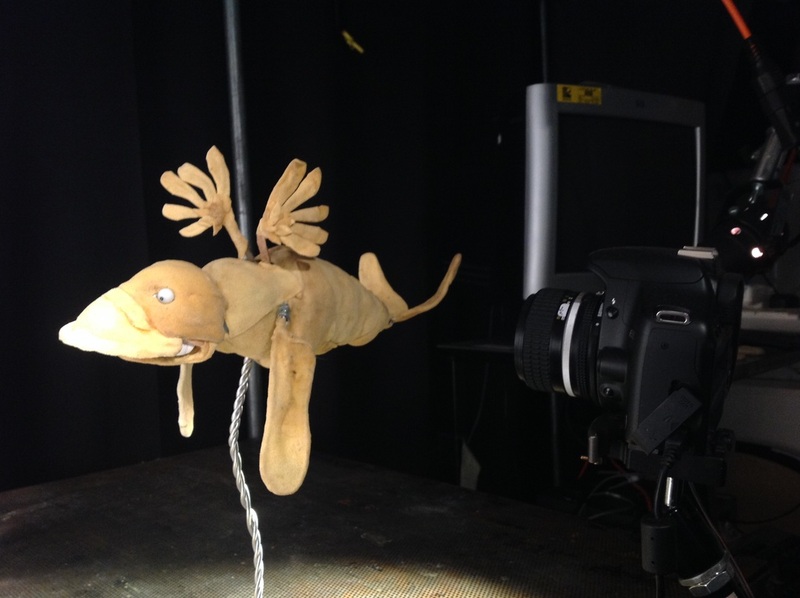 I just wanted to feedback that the last two stop motion workshops - metalwork and woodwork - were absolutely incredible! They've already really helped get the mental cogs in motion concerning this semester's work, and now that we know a lot more about the fabrication centre I think we all feel like we might be able to work there a lot more. Ryan and Justin were brilliant..they gave us really great advice and made us feel more than welcome. 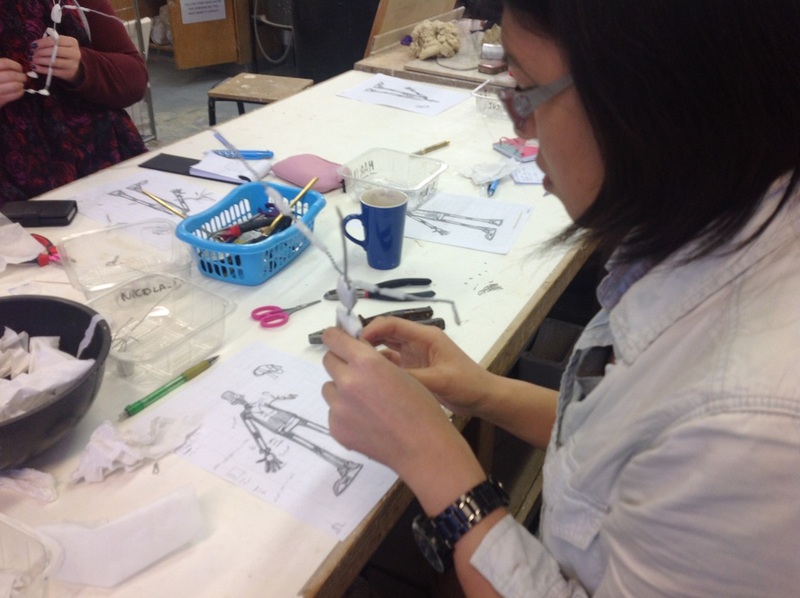 They went at a great pace and I feel more than confident in using the equipment too, it was also obvious how much preparatory work went into the workshop. Thanks for running the workshops! Well well, its semester two already! 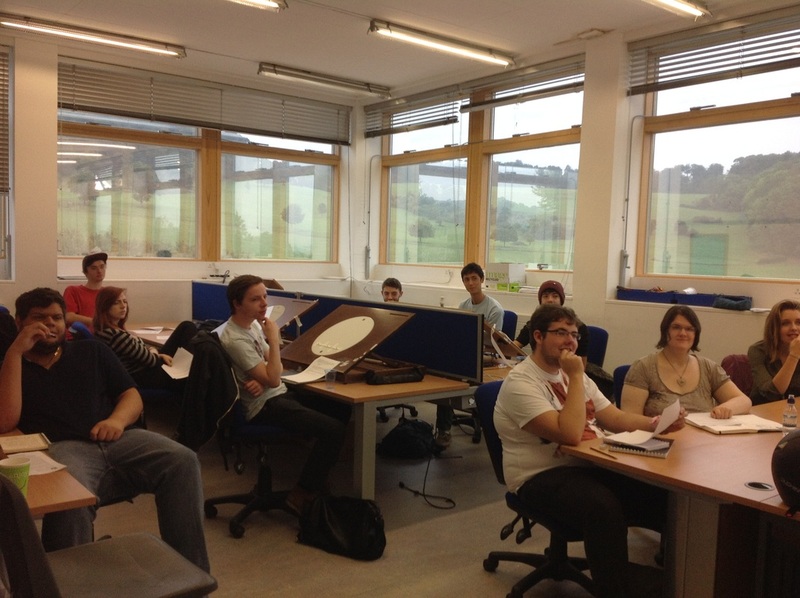 A very big welcome to our new MA students, who will be with us until Janurary 2016. 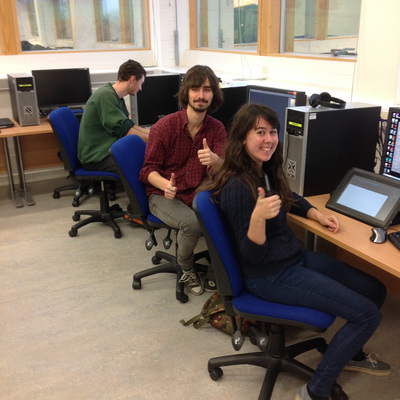 We hope that you have a good first week...you will get the chance to meet the technical team from week 2, as your tutors have booked in a very intensive series of induction workshops to get you up to speed with all of the equipment and studio resources available to you.A big welcome also to our international exchange students coming to study with us for this semester. You will also be attending the induction sessions from week 2, so you will get to meet the MA students and your technical team then. Sadly we will be saying goodbye to our current MA students over the next few weeks also. We would like to say Bon Voyage, and wish them every success...please do keep in touch and you are always weclome to visit us from time to time if you are about. 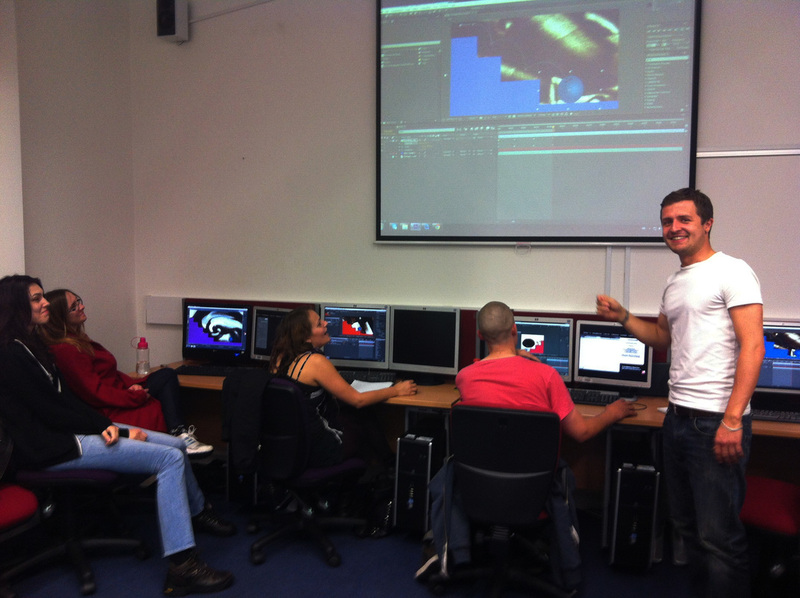 Huge Kudos to the level 2 students who completed their collaborative film projects last week. The final films were impressive, with some beautifully executed design work and art direction, and very high production values. Even as I type the final films are undergoing the final polish, and a selection will be posted here as soon as possible. 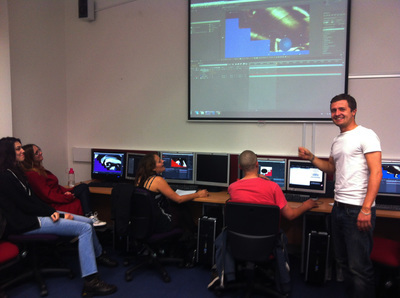 A big well done also to the level 3 students who completed their dissertation this week. We have missed you in the studios! Looking forward to catching up with your projects and helping you to get up and running on your production work. Ian and Mary will be popping in to your module launch on Monday the 26th to talk you through your access agreement and to answer any questions you may have about the resources or equipment. New Software Available in the Digital Studios. 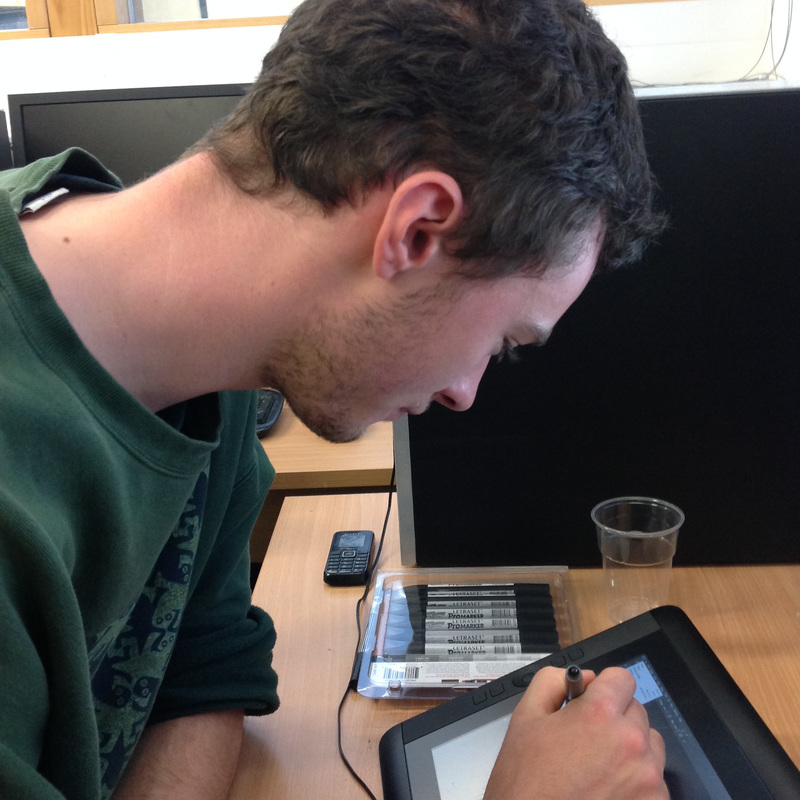 We were delighted to welcome MA Graduate Brian Panks back to the foruth floor studios last week to demonstrate a new software package available to animators working in digital 2D. 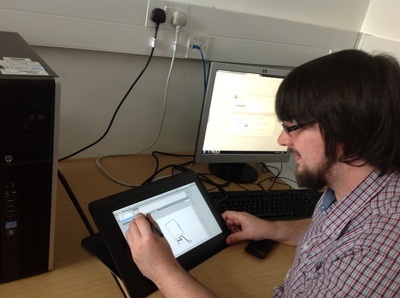 TV Paint is one of two new software packages now available to you thanks to a successful bid by your academic staff. The second package is "cell action" and both of these new pipeline tools allow for a very different but equally innovative "Look" and style. If you would like a quick introduction to TV Paint, please e-mail Libby Bass to book a short introductory workshop by clicking ﻿HERE﻿. Libby will be available every Monday and Tuesday for the next five weeks. We will be offering Cell Action training in semester two, but in the meantime, click on the link above to learn more about the package. New Tutorial and Meeting Space! You may habe noticed the recent changes to the layout and usage of 4B05. 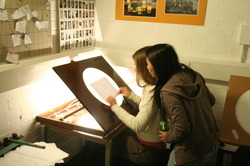 This room has been used for a number of years as a student production studio for traditional animation. More recently is has been used to house our five new cintique drawing stations. The cintiques have proved so popular that we are hoping to purchase some more for roll out next semester, and we intend to increase that number significantly in 2015-2016. 4B05 has also often been used at quiet times as a drop in tutorial space, and on occasion a general meeting room for group discussions and seminars. 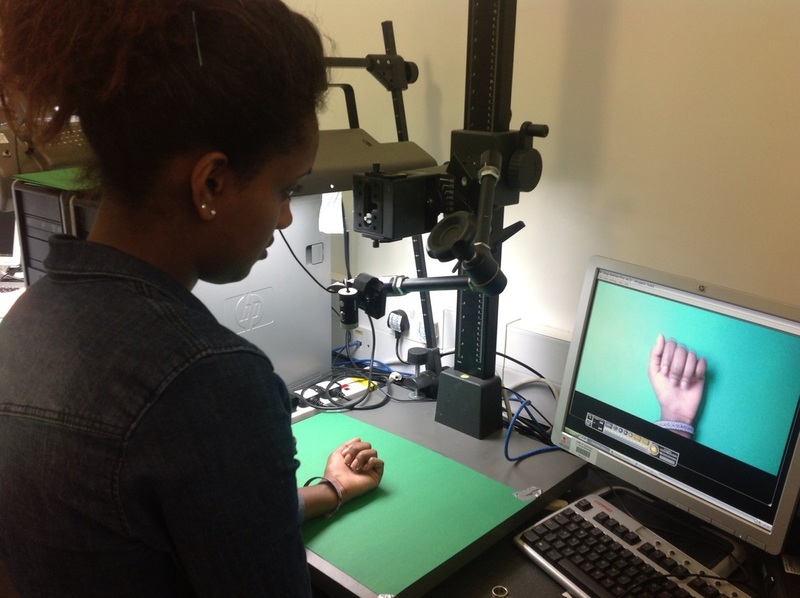 The technical team has noticed that this can get a bit frustrating for students who need exclusive access equipment in that space. We have decided to move the cintique machines in to 4B18 to ensure that you will be able to access them day or night. 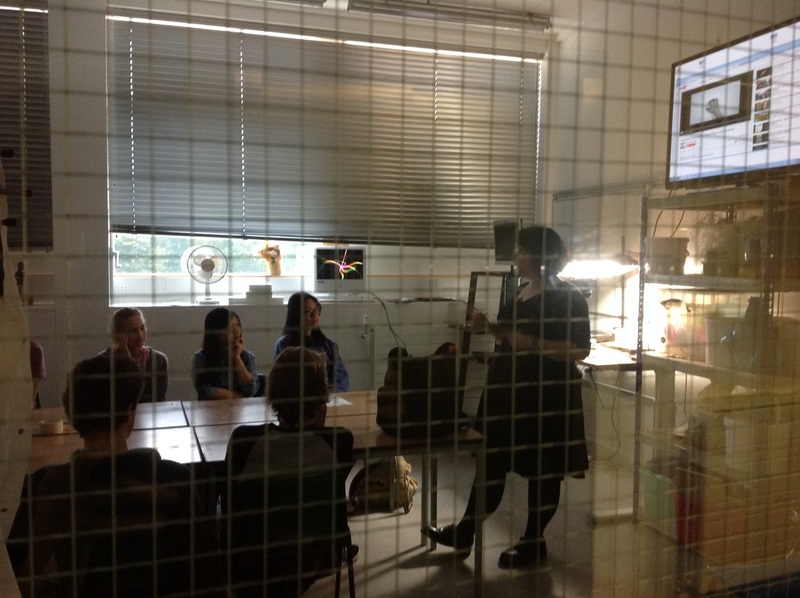 4B05 will now be a permanent small tutorial/seminar/meeting room used by your academic staff. They are (as I type!) setting up some large viewing screens and computers in there to allow you to show your work for group tutorials and advice on animatics, editing etc. The technical team will be using this newsletter to keep you all up to date with whats happening in the technical studio spaces. 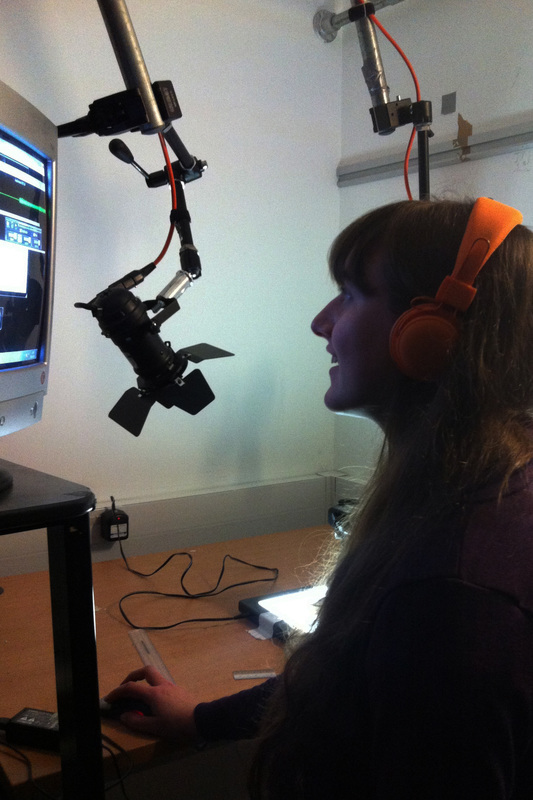 We will be posting up photographs and videos of practical activity from time to time, and using the newsletter to keep you up to date with new equipment and technologies in the studios. She will also be playing a key role in introducing and supporting some exciting new production pipelines...and we will be announcing details on this in the next newsletter in two weeks time. Click on the link HERE for Libby's contact details and staff profile page. Level 1 students learning the basics of Flash. 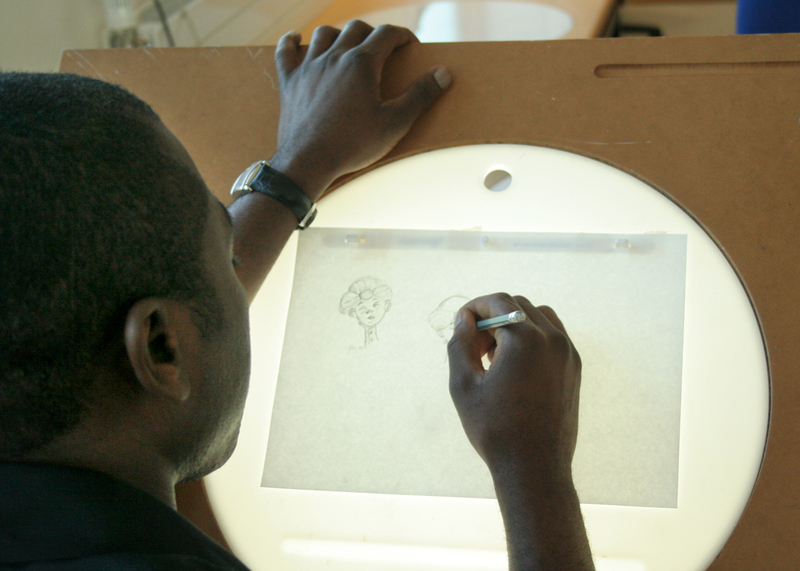 A big welcome to new students joining us at the Bristol School of Animation this year, and a welcome back to returning animators! We have added this "studio newsletter" to our existing technical resources website to keep you up to date with changes and improvments to the studio spaces, and to share images of animation projects in progress and information on interesting technical discoveries. To get the ball rolling, above are some images of student activity and project work during week 1. We have also added a student showcase site HERE to share exercises and finished project work.